Andrés Cárdenes, violinist, is the former Music Director of Strings Festival Orchestra (CO) from 2009-14, the Pittsburgh Festival Orchestra, and former Music Director and Leader of the Pittsburgh Symphony Chamber Orchestra from 1999-2010, Cárdenes has drawn audiences to the concert hall for a vast array of aural experiences. Mr. Cárdenes began formal conducting studies at age 15 with Thor Johnson, former Music Director of Cincinnati Symphony. Entering Indiana University to study with the legendary Josef Gingold, Cárdenes continued his education under the tutelage of Bryan Balkwill, former conductor at Covent Garden. After winning top prizes at numerous international violin competitions, Cárdenes accepted concertmaster positions with the San Diego, Utah and Pittsburgh Symphony Orchestras, remaining in those capacities for 25 years and apprenticing under the great maestros of today. Counted among his mentors are Lorin Maazel, Charles Dutoit, Rafael Fruhbeck de Burgos, Leonard Slatkin, Sir Andrew Davis and David Zinman. 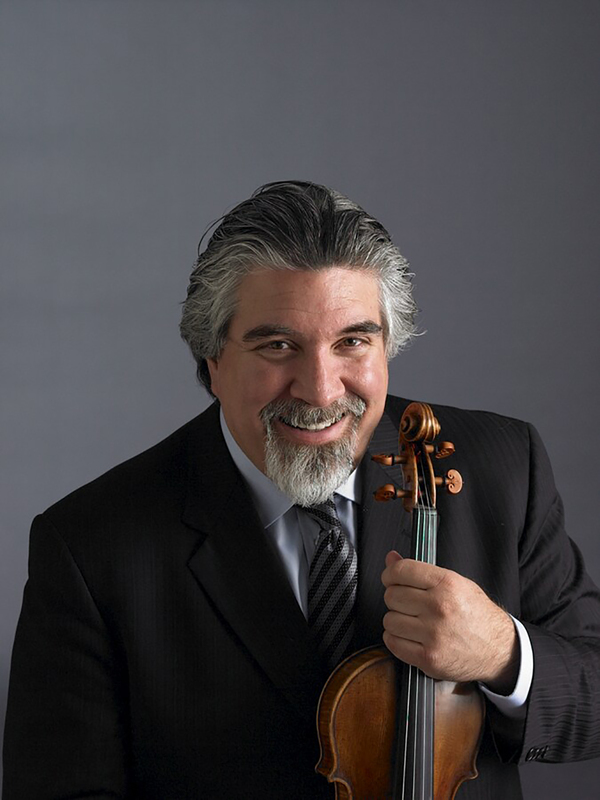 In 1999, the Pittsburgh Symphony Chamber Orchestra was created for Andrés Cárdenes to highlight his multiple talents as conductor, violinist, violist and leader. The Chamber Orchestra enjoyed a remarkable eleven seasons, premiering 15 works and presenting dozens of rarely heard pieces by well-known composers. In 2006, the Pittsburgh Symphony signed Mr. Cárdenes to a five-year contract to conduct the orchestra in subscription concerts each year. His programming featured works by Poulenc, Hindemith and Debussy that were either Pittsburgh premieres or had not been performed in over 50 years. In addition to his frequent appearances with the Pittsburgh Symphony, Mr. Cárdenes has conducted orchestras across the globe: Munich Radio Orchestra, Dallas Symphony, Detroit Symphony, Colorado Symphony, St. Petersburg (Russia) Chamber Orchestra, San Diego Symphony, New West Symphony, Fundacíon Beethoven Philharmonic (Santiago, Chile), OFUNAM Orchestra of Mexico City, Sinfonica de Venezuela, National Repertory Orchestra, River Oaks Chamber Orchestra, Sinfonia da Camera, Cleveland Institute Philharmonic and the Neue Philharmonie Westfalen in Germany. He has collaborated with soloists such as Midori, Sarah Chang, Pinchas Zukerman, Elmar Oliveira, Gary Hoffman, Jon Kimura Parker, Gabriela Montero, Christopher O'Riley, David Deveau, Chee-Yun, Michelle deYoung and Lars Vogt.